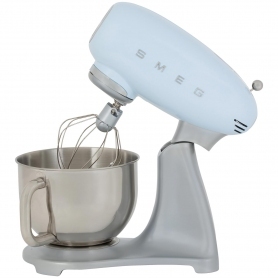 The baker in your family will love this stunning stand mixer from Smeg. Not only is it perfect for preparing delicious cakes and creams, it’s got a funky design and is available in four colours. 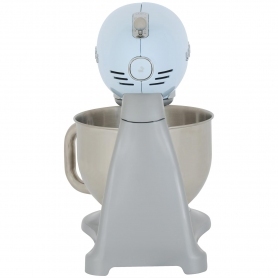 If you’re the sort of person who takes pride in the appearance of your home, you’ll love this mixer. Every inch of it has been lovingly designed to bring a classic and elegant feel to your kitchen workspace. 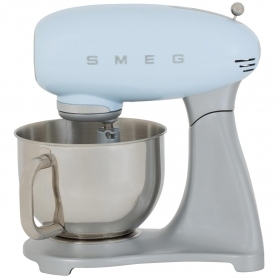 Best of all, you can match the mixer with other Smeg appliances for a cohesive look throughout your kitchen. 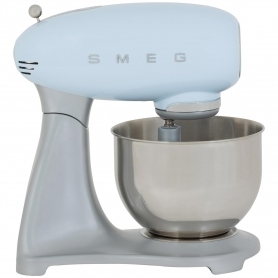 As well as looking great, this mixer delivers excellent performance too. The bowl is durable stainless steel and has a 4.8 litre capacity. The sturdy body is made from die-cast aluminium and anti-slip feet keep the product secure while in use. Altering the mixer’s speed is easy thanks to variable controls. There are ten different settings, which start softly before building momentum to avoid accidents. A lock keeps the head in an upright position when the appliance is not in use - another great safety feature. The head has been designed with usability in mind too. 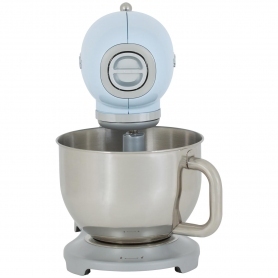 It uses a planetary motion system that ensures the mixture is worked evenly for better results. It’s the little things that really make a home appliance great. And this mixer has them in abundance. 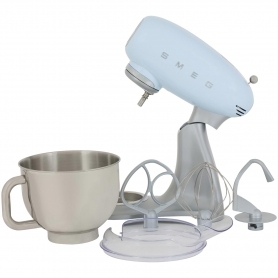 It comes with several really useful accessories, including a wire whisk, a flat beater, a dough hook and a plastic bowl cover. There’s even a recipe book to help you find something delicious to make. 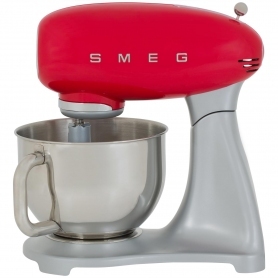 Why not order this great Smeg stand mixer for your kitchen today?